Although the primary purpose of fitting a new gate around your property will be to add security, in order for it to suit your homes architectural style, you will need to ensure an appropriate design is selected. If you are seeking to achieve a modern look, opt for a design that is simple with minimal ornate or decorative features. This way, the clean lines will mirror the home, blending well with the existing surroundings. In comparison, if you are after a more traditional feel, the addition of a more decorative design will be far better suited. The most popular materials are metal or timber. With each material achieving its own unique appearance, careful consideration needs to be made when making a decision. In addition to the difference in appearance, different levels of privacy will also be achieved. Metal – Due to their construction, metal gates feature open sections between the infill bars. Although extremely strong, these gaps let people see through meaning privacy levels will not be great. Timber – A wooden gate is normally constructed from individual boards that when completed create a solid panel that cannot be seen through. As such they will provide far higher levels of privacy to your home. 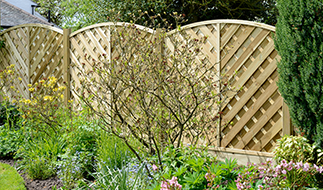 In addition to the above, many designs such as the Vertifleur Tall Wooden Garden Gate are now available that incorporate both materials into the same design and can have truly amazing results. Which design will suit the best? 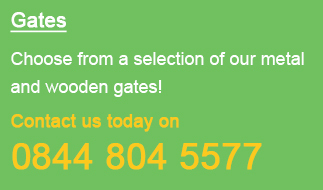 As previously mentioned, matching a design to suit your home is simple if you follow the advice of Garden Gates Direct. Stand back from your home or garden and look at the overall existing design. Look at the architectural style of the property and make a note of any features that catch your eye such as decorative woodwork, brickwork or windows. Taking inspiration from these small details and select a design from our online shop that best reflects the existing features.